I’m excited to introduce a new four-part Blog Series to you – “WHY?!”. On a daily basis, I’m asked WHY?! 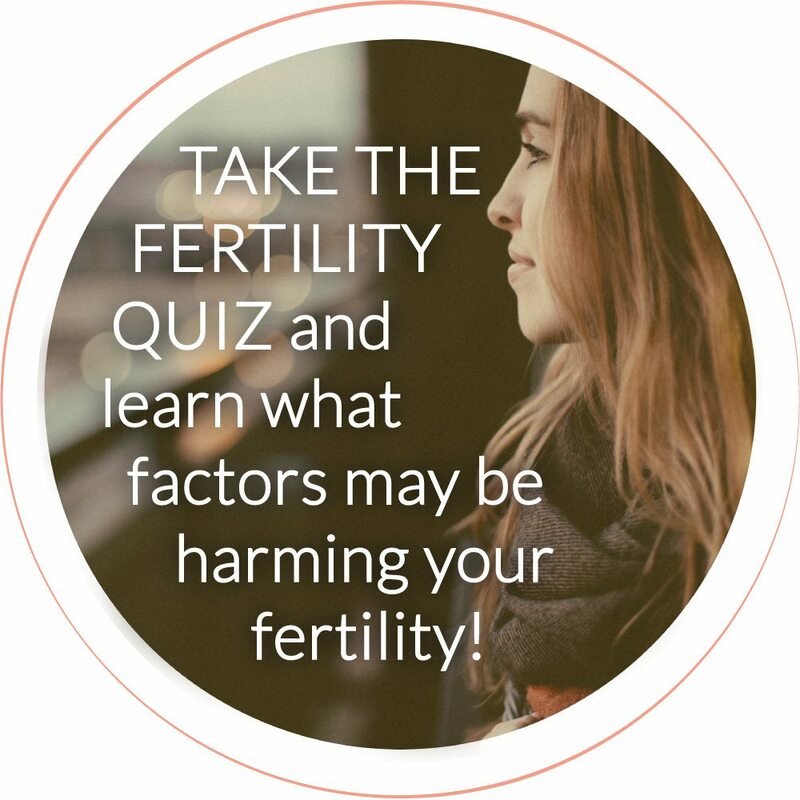 when it comes to health and lifestyle changes to improve fertility. WHY choose toxin-free foods? WHY is it critical to consume so many healthy fats? WHY do we need complete darkness at night? WHY is exercise imperative? But, what you don’t eat is just as important! There has been all sorts of buzz around the word “organic”, I honestly prefer to say “toxin-free” food because many local farmers who choose not to use pesticides, hormones, antibiotics, steroids or genetically modified organisms can’t monetarily afford the often high price of the organic label. So we must use words beyond “organic” to encompass all the real food available to us. What exactly does ‘toxin-free’ food mean? Eating toxic-free foods means that the foods you are choosing to consume are grown without pesticides, herbicides, or other repellents. No hormones, antibiotics or steroids are used in animal production. It means that the land the product is grown on is free of said toxins from previous use. Toxin-free foods have not been genetically modified, and are therefore not considered a GMO (genetically modified organism). 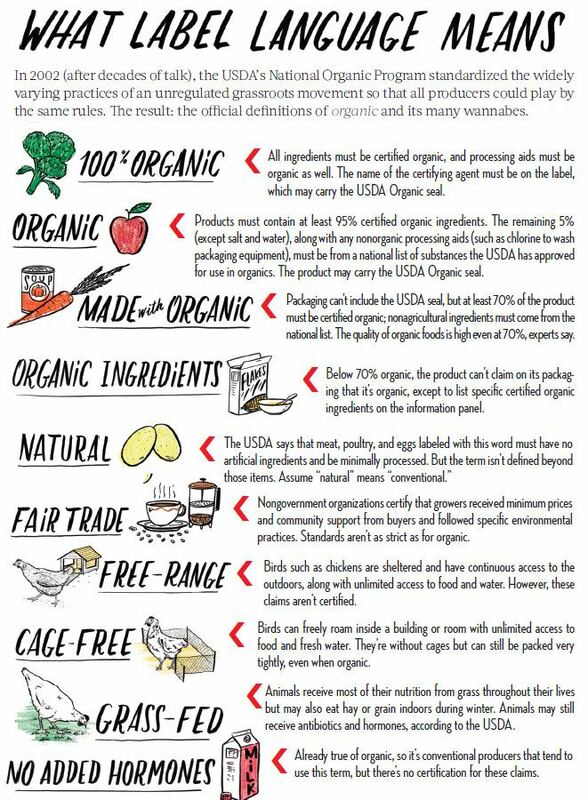 When you see the organic label, you can be assured that the criteria listed above has been met. If you are purchasing food directly from a local farmer who doesn’t have the organic label – ask them if they spray their crops with anything, what they feed their animals, if their animals are raised humanely, and if they avoid GMO’s. I recommend my clients stay away from genetically modified foods because the research I’ve read thus far has not proven, without a doubt, that they are safe for human consumption. Certain studies show that they can be harmful, and some studies I’ve read have shown that animals who begin eating GMO feed have higher rates of sterility. Who’s to say that GMO’s don’t have the same affect on humans? The other concerning thing is that the majority of GMO’s have been bred to withstand extremely toxic chemicals, which is then passed on to the end user (you and me). Yikes! Clean meat and dairy means that the animals are fed pesticide- and insecticide-free & non-GMO feed, and are not given antibiotics or hormones to ‘bulk’ them up. Animals accumulate and store toxins far more than plants do, so purchasing clean, humanely raised animal products is essential 100% of the time!! 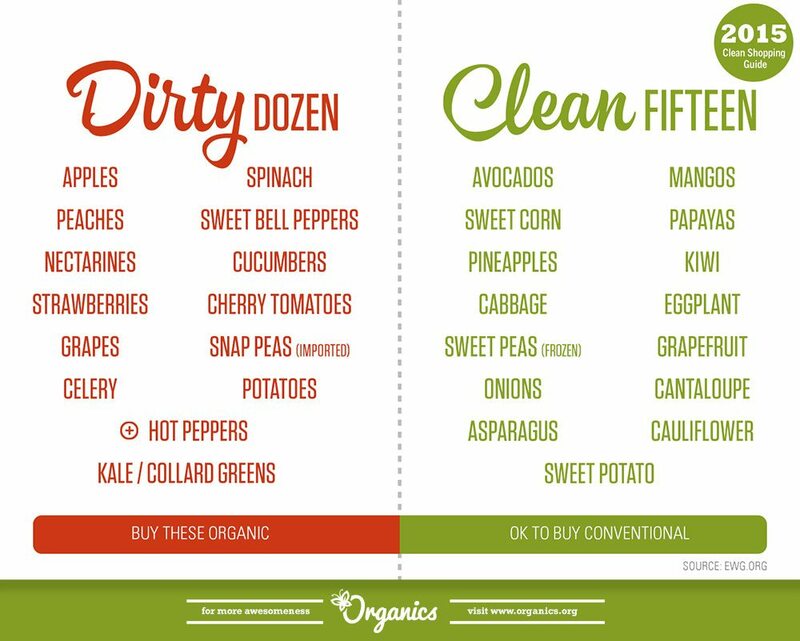 If you have to choose what to purchase organic – always choose organic animal products and at least aim to buy the Dirty Dozen fruits and vegetables organic. Why is it important to choose toxin-free foods when trying to improve your fertility and ensure a healthy, full term pregnancy? Listen up men, this part is for you too! Many of the pesticides, chemicals, and hormones used to treat produce and animal products contain synthetic estrogen-like substances which occupy estrogen receptor sites and have negative side effects on our hormonal and reproductive systems. 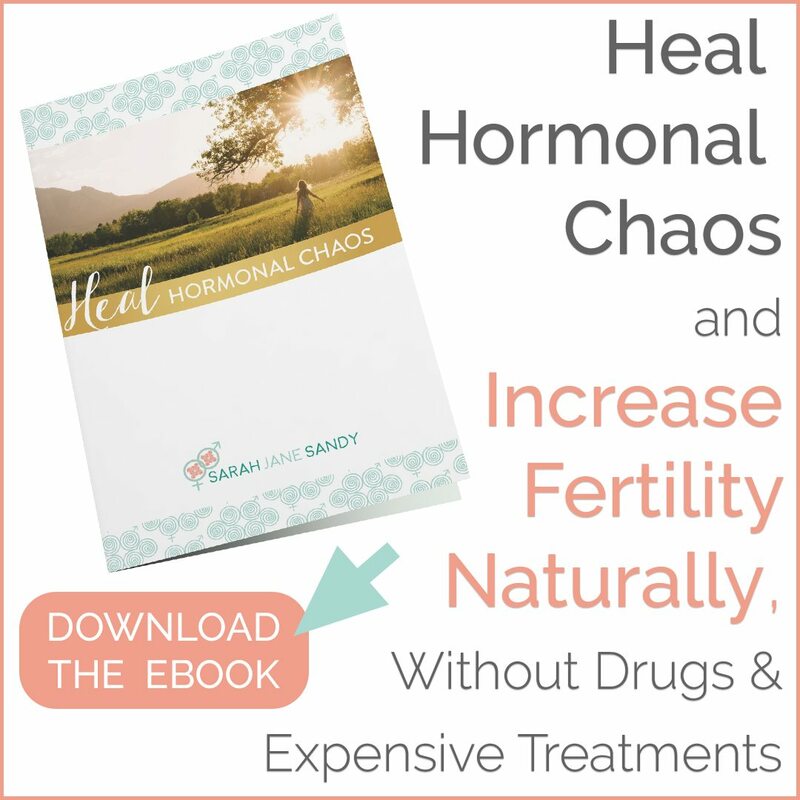 All that excess estrogen exposure wreaks havoc on your body’s delicate hormonal system. In men, pesticides have been shown to negatively affect: the male reproductive tract, sperm health, sperm motility, sperm count, overall male fertility, and hormonal balance. In women, pesticides negatively affect fertility by disrupting hormone synthesis, hormone release and storage, hormone transport, hormone receptors, thyroid function, and the central nervous system. All of these are essential in maintaining a healthy reproductive system, and in turn, promoting your fertility … in both women and men! Think about this for a second: when you eat food that was grown using pesticides, your body has to work harder to eliminate those pesticides. This process not only adds extra stress on your body, but it makes your liver work harder to detoxify. When you consume meat and dairy from conventional factory farms, your body is ingesting the same chemicals, hormones, and antibiotics that the animal was fed. These hormones have the ability to disrupt your own internal hormone production. This imbalance can impede ovulation and even weaken egg health and sperm, making it difficult to get pregnant. Men who consume pesticides in their foods are 10 times more likely to have low sperm count! 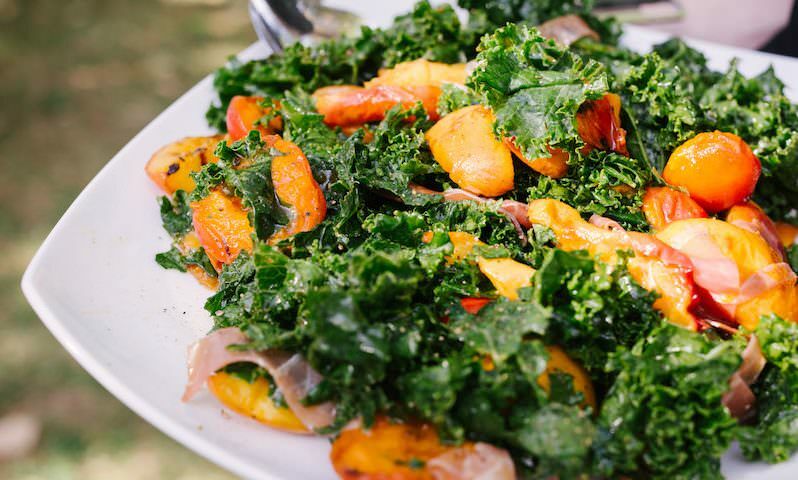 Have I convinced you yet that clean, toxic-free foods are the way to go? Say YES! choose fruit and vegetables that are free of pesticides, insecticides and herbicides, and are non-GMO. Fortunately, there are major regulations in place when it comes to food language and labeling. The chart below helps to outline what means what in the organic world. Where’s your go-to place to shop for toxin-free foods? What products do you always buy organic or toxin-free? Spread some toxin-free lovin’! Sharing is caring, and I bet you have some friends who would love to read this too :).